Are you concerned that you may have rosacea? If so, you’ll want to read this. Learn more about what rosacea is, what its symptoms are, and how rosacea is treated. 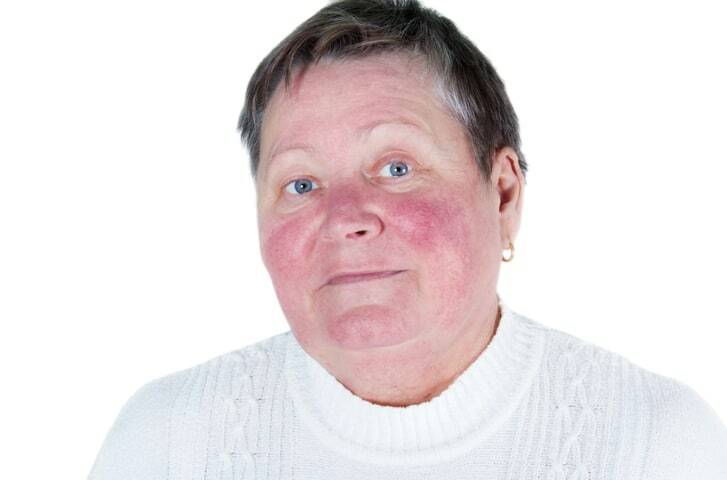 Rosacea is an inflammatory skin condition that typically affects the face. Although the cause isn’t fully understood and there is no cure, there are medical treatments available to minimize the symptoms of rosacea. If you experience persistent redness or skin thickening, you meet the diagnostic criteria for rosacea. You also meet the criteria if you experience at least two of these symptoms: flushing, bumps and pimples, visible blood vessels, and eye irritation. What Lifestyle Changes Can Minimize the Symptoms of Rosacea? Rosacea is typically treated with medication and by avoiding common triggers. It also responds well to two treatments we offer here in our office, laser therapy and IPL, which stands for Intense Pulsed Light. With laser treatment, we can reduce flushing, redness, and the number of visible blood vessels. For the best results, we may recommend a series of laser treatments. During laser treatment, our Clinical Director “Ellie” Zarnegar will apply a light topical anesthetic so you’re comfortable throughout the procedure. Then, she’ll use a laser handpiece to direct energy into the skin in short bursts. You may feel a sensation of warmth or stinging. Within a few weeks, you’ll begin to see an improvement in your skin’s appearance. IPL treats the same symptoms as laser treatments do. But because IPL generates a broader spectrum of light, it can treat a broader spectrum of tissue. An IPL session is much like a laser treatment. After applying a gel to your face to regulate temperature, “Ellie” will use an IPL handpiece to guide light energy into your face. The experience isn’t painful, although you may feel a mild stinging. Afterward, you’ll experience no downtime and can resume normal activities immediately. As with laser treatment, your results will gradually emerge over the next few weeks. How Can I Schedule a Rosacea Consultation at Essential Aesthetics? If you’d like to be evaluated for rosacea treatment, it’s easy to request a consultation with Essential Aesthetics. Simply call us at 925.855.1773 or submit your request online. We’re pleased to offer early evening and weekend appointments. Our Danville medical spa is conveniently located just a few blocks from I-680 and offers ample free parking.